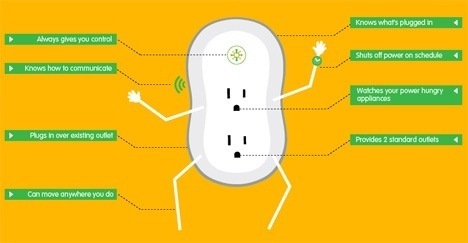 I have always been a little jealous of my friends (yes, you Howard) who can turn light, appliances, air conditioning, and heat on/off remotely through their smartphones. They have sophisticated and smart setups. I kept telling myself I was going to learn how to do that one day until I saw the Innovation Insider (Steve Greenberg) on the Today Show this morning demonstrating the Modlet. I said “I can do that,” and quickly looked up the Modlet on Google. I loved what I found so I decided to share it with you. 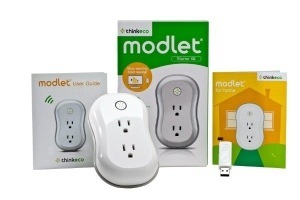 The ThinkEco Modlet, $50 on Amazon, fits into your standard outlet at home and offers two sockets, each with remote control power measurements. The ThinkEco smartphone app will now allow you to control your devices and keep track of your energy savings from anywhere.